Women in STEM Challenges and Opportunities | International Women’s day 2018 Girl Power in STEM Press for Power! Professor in the Department of Physics and Astronomy at Rice University. Professor Patricia H. Reiff is a Professor in the Department of Physics and Astronomy and was the founding Director of the Rice Space Institute at Rice University. Her research focuses on space plasma physics, mostly in the area of magnetospheric physics: "space weather". She was the first person to prove, using Dynamics Explorer dual spacecraft data, that the aurora is caused by a mid-altitude electric field. She is a Co-Investigator for science and E/PO (Education and Public Outreach) on the"Magnetospheric Multiscale Mission" which launched in March 12, 2015. She is instrumental in bringing real-time space weather forecasts and "Space Weather" information to the public. She is the director for a major project which has developed an off-ramp for the information highway by "Creating the Public Connection" , bringing real-time earth and space science data to museums and schools (originally sponsored by NASA's Digital Library Technology Program). She has taught thousands online and in person how to safely view the solar eclipse, and gave away more than 35,000 eclipse glasses to teachers and the public. She is a Fellow of the American Geophysical Union , where she serves on the SPA Public Education Committee. 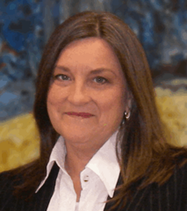 She has served on advisory committees for NASA, NSF, NCAR, Los Alamos National Laboratory, NAS/NRC and AAU.